Paris. Vienna. Amsterdam. Budapest. St. Petersburg. As diverse as they are, these and other unforgettable cities have one thing in common: they were all born on a river. Where else but on a river could you be gently carried along on an elegant, intimate ship, docking right in the heart of town, strolling off to begin your exploration? How else but on a river would you travel with such ease, unpacking just once and enjoying the ever-changing scenery along the banks? 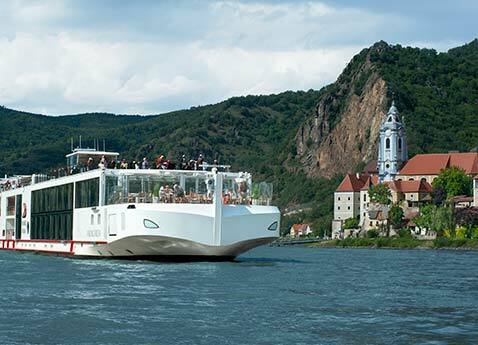 Comfortable and convenient, river cruising offers a greater variety of destinations than you can find any other way. Spend less time getting there, and more time being there. Small wonder so many people have fallen in love with this relaxing, immersive and thoroughly enjoyable form of travel. Just 20 years ago, the modern river cruise industry didn’t exist. Of course, there were privately owned river ships available to sail down a few rivers in Germany, and a few paddle wheelers along the Mississippi, but generally trips were prohibitively expensive or operated by barges with only a handful of intrepid passengers and few amenities. But in the last decade, river cruising’s popularity has grown dramatically, and more than 500,000 people now take a river cruise each year. Destinations range from the United States to Europe, Russia, Egypt and even China and Southeast Asia; and many ships are recently built and designed for comfortable travel, with amenities like hotel-style beds, spacious public areas, verandas and even suites. Also, as ocean ships have grown larger and larger, many travelers are discovering river cruising provides an intimate, comfortable alternative. By their very nature, rivers are dynamic and evolving. These were the original highways of the world for the Vikings and the Romans; they enabled medieval traders to traverse great distances; and helped to build the economies of the developing world by providing cheap transportation of bulky goods. Indeed, the great rivers of the world have been a conduit for commerce and exploration for thousands of years. Historic civilizations and cities were built on their banks, and their very shape has been honed both by nature and man. On nearly every river journey, you’ll discover the clever solutions of engineers over the ages: different types of locks and methods for raising and lowering the ships along the way; you’ll cruise through areas of rugged natural beauty carved by the flowing water; and you’ll marvel at the ability of a river ship to gently slip under bridges and into the tight-fitting locks, as each vessel must be built to the specifications of the waters on which she sails. It’s truly a unique experience, no matter which river you choose. 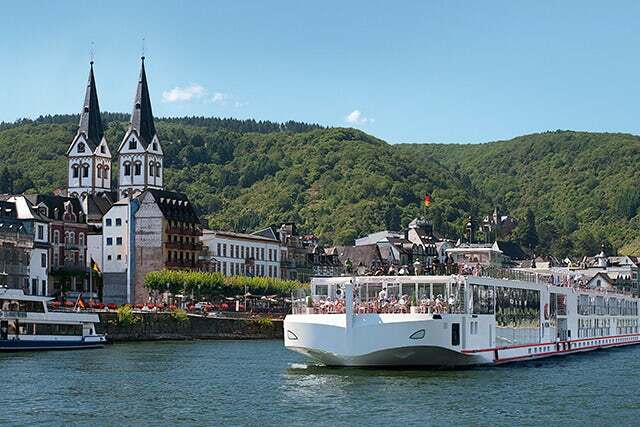 River cruising offers a uniquely comfortable way to explore new destinations. Unlike a bus tour or driving on your own, you unpack just once and settle into a comfortable home away from home. You get your own room, indulge in meals that are included as part of your fare, and enjoy the camaraderie of fellow passengers on an intimately scaled ship. There’s no packing and unpacking, switching hotels, or lugging baggage around. Also, unlike an ocean cruise, there’s an ever-changing mural of breathtaking scenery from your ship, so the journey itself becomes part of your discovery. Because a river has no waves, sea sickness is never a concern. In addition, because each river cruise ship’s scale is limited so it will fit into the locks and canals along the river, ships are always small in scale, with typically just under 200 guests. These are just a few of the reasons why river cruising is truly the most relaxing way to travel. Whether you choose the Rhine, Danube, Seine, Yangtze, Portugal’s Douro, Russia’s Volga or one of the many other rivers of the world, the pace of river cruising allows you to both enjoy the ever-changing scenery and also discover the unique customs, cultures and cuisines of the many countries along your journey. A large number of Europe’s rivers, for example, traverse the borders of many countries, enabling you to discover a variety of countries and cultures. Or, you can discover a single country in depth, focusing on a section of the river that stays within just one country such as Germany, visiting not only the cosmopolitan cities with all their vibrant museums, bustle and sophistication, but also smaller towns like Rüdesheim in the heart of German wine country, or the university town of Heidelberg, complete with its red sandstone castle, a romantic ruin of Gothic and renaissance architecture. Only a river allows you to easily get to such a wide variety of places to explore. From Amsterdam to Cairo, Shanghai to Luxembourg, so many great cities await your arrival - with one very special way to experience them: on a river cruise.